Winter’s Children by Leah Fleming is a contemporary story set in the Yorkshire Dales in 2001, following the outbreak of foot and mouth disease. Whilst mainly set in the present, the story spans four hundred years as past and present collide to preserve the future. Young widow Kay, and her daughter Evie escape from Sutton Coldfield to Wintergill farm in the Dales. Kay is running from Christmas and its memories. Eight year old Evie is still waiting for her Daddy to come home. Wintergill farm has been in the Snowden family for centuries, now only Nora and her middle aged son Nik remain. Nora wants to leave. Nik is determined to rebuild the farm following the devastating foot and mouth. The novel deals not only with the theme of physical rebuilding, but also the relationship between mother and son needs rebuilding. Nora lost the love of her life, daughter Shirley in childhood before Nik was born. Nik has always felt unwanted and second best. Can he do anything to gain a place in his mother’s heart? The main theme of the novel is that of loss and searching. In the seventeenth century a tragic incident meant Blanche Norton lost her child. Four hundred years of searching and taking what is not hers. Her sister Hepzibah protects the main house from Blanche’s dealings but she cannot protect the surrounding hills and dales. The sisters need to find peace, but there is no sign of this happening. Christmas in the Dales should be idyllic but many years have passed since Josiah Snowden owned Wintergill farm and truly knew how to celebrate Christmas. In those times the farm threw open its doors to the community. It was warm and welcoming. Can it ever be the same again? Tragedies can split families apart or draw them together. Memories can be warming or painful. Within the novel Leah Fleming explores both sides of the same coin. 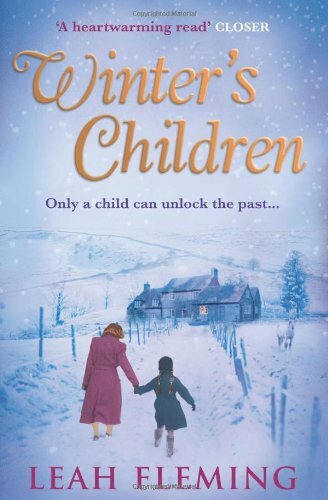 In Winter’s Children the action alternates between present day and the past four hundred years, until the past catches up with the present. It is an intriguing novel and I was well and truly hooked. I did not guess the outcome, but the story wrapped up nicely for me. Leah Fleming is a new author to me, and I enjoyed her style of writing. I shall certainly be seeking out more by her.